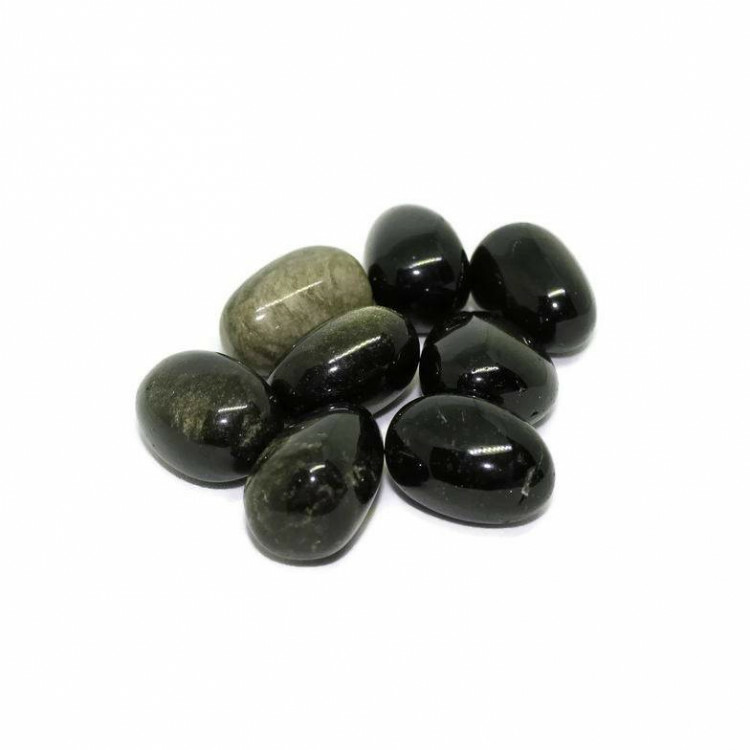 Lovely pieces of tumbled silver sheen Obsidian. 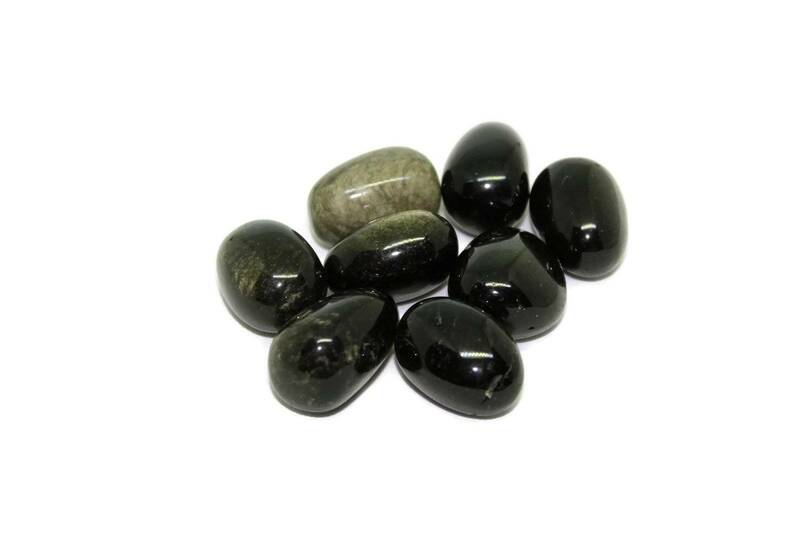 These are gorgeous silver sheen Obsidian tumblestones, with beautiful silver sparkling inclusions inside. We’re hoping to add gold sheen Obsidian to the site soon. These stones make an interesting contrast piece with lighter stones, especially clear or white stones. 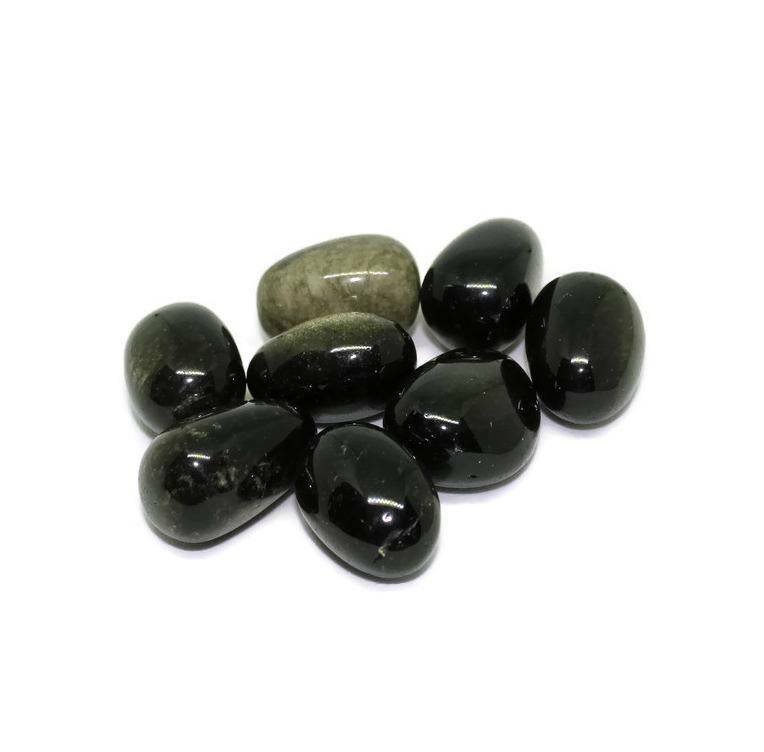 Because of their interesting visual sheen, people tend to like handling them and we would recommend against storing them anywhere inaccessible like in a fish tank. For more information about Obsidian itself, please see our main ‘Obsidian’ page.